Heavy snowfall in Kashmir used to be its hallmark. But immediate snow clearance has never been. Frozen pipes, choked drains, ripped power supply lines; massive traffic snarls and poor telecom network have become synonymous with winter season of Kashmir. Is Kashmir division the only region in the world that receives snowfall? No is the answer. Encyclopedia, Wikipedia and Google and other search engines suggest that there are multiple countries and regions with human habitations that receive heavy snowfall than Kashmir. But do the inhabitants of those places face similar problems as are faced by common Kashmiris? Again ‘No’ is the answer. Surf all sources of information and you will find that traffic moves smoothly, trains don’t get stuck, there are no power cuts, drains are not choked, garbage collection does not get affected, water supplies are on and above all the people relish the winter season. The question remains where do we lag behind? Is our administration not swift or they are not effectively trained to cope up with the challenges posed by the winter? These questions assume more significance because the common people are subject to suffer in these modern times. Timely weather predictions and round the clock internet connectivity that makes everybody aware of forecasts. This all does not seem to be sufficient for our administration! What else do we need to make them to act on ground? 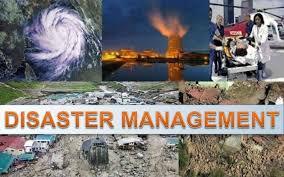 The mock drills and other shows conducted by the so called disaster management in Kashmir during summer season has proven to be a hoax. Need of the hour is that we need to train our line departments on how to tackle winter vagaries properly and ensure that they receive refresher courses during summer seasons as well. Or else the people of Kashmir valley shall always cry for help during the winter season which once they used to long for. Political gimmick but a reality!